A wonderful, hand-painted model of the horned dinosaur Einiosaurus by CollectA. 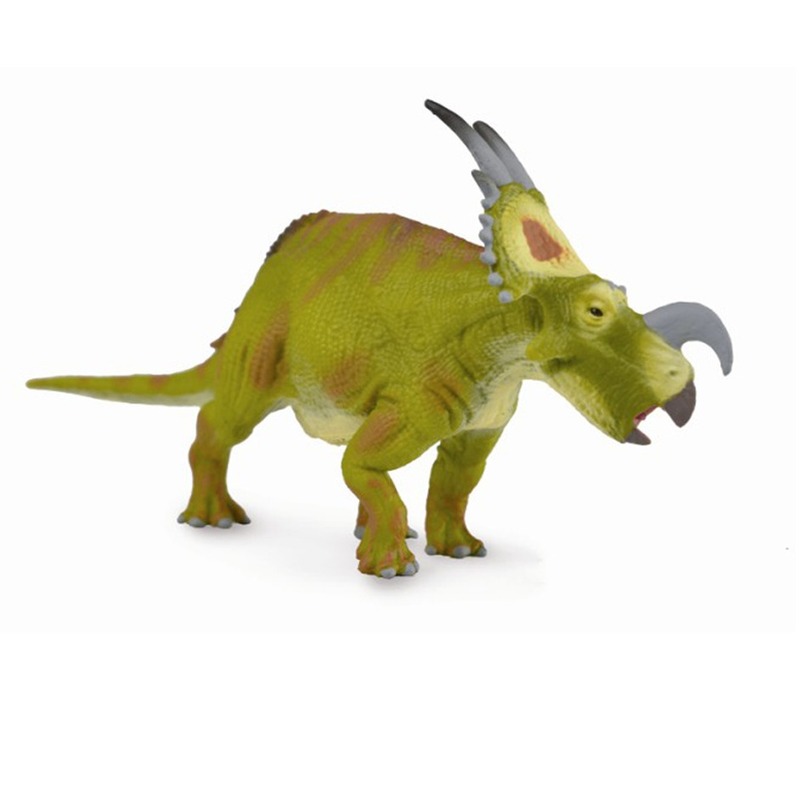 A CollectA Einiosaurus dinosaur model. Length 12.5 cm approx. Height 6 cm approx. Lovely little dinosaur. This is a small model (around the size of a credit card) but is highly detailed and realistic. I looks as though it’s to 1:40 scale, which would make it around 2 metres tall at the hips in real life. I like the colouration to the frill and the quill like feathers to the rear of the animal. Both of these features are conjectural but are supported by the use of bright colours for display in modern birds and evidence of feather-like structures in other ceratopsian dinosaurs. The service from Eveything Dinosaur was fantastic as per usual. I received an email to inform me that the order would be sent the same day and received it the next!